The fact is, Human Resource departments are overworked. Most offices do what they can but the majority of services offered are diagnostic in nature and don't promote a healthcare intervention that is proactive, preventative, and interactive. Simply put, the health issues of employees are considered a cost of doing business. Your Health Now LLC can change that. On-site chiropractic care will decrease your medical claims, decrease absenteeism, decrease employee attrition rates, and increase overall productivity in the workplace. Our programs are 100% employee-funded and require minimal to no HR involvement. 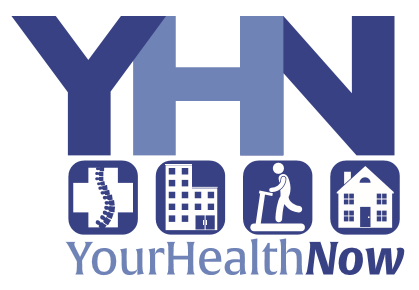 Your Health Now LLC is an on-site health and wellness company. To arrange an ergonomic assessment in your workplace, perform health talks, provide on-site chiropractic care, or to inquire how we assist Human Resources in all their health and wellness needs, please call or email our offices today. You can also sign up for our biweekly digital newsletter to stay up-to-date on current corporate health topics. "By adding chiropractic care, employers will strengthen the opportunity for cost savings, improved outcomes, greater worker productivity, and stronger employee retention"
"Includes post offer pre-hire health screenings"
If you're looking for an easy way to implement a corporate wellness program in your company, call our Ewing Township, NJ office now. Our on-site Doctors focus on locating, analyzing and correcting vertebral subluxation (spinal misalignments) in people of all ages and backgrounds. The concern is that subluxation in the spine affects the nerves that control every cell, tissue and organ in the body. If this nerve interference is left uncorrected, then body function (health) is altered, and symptoms, pain, or disease may develop. Most people we meet are not completely happy with their level of health. Many are suffering with symptoms of stress such as aches and pain, arthritis, loss of mobility, digestive problems, headaches, sleeping problems, irritability or moodiness. When our spines are cared for throughout our lifetimes, the effects of the subluxations are minimized, and our bodies are able to function at their healthy best. We love helping people naturally regain and maintain optimal health.